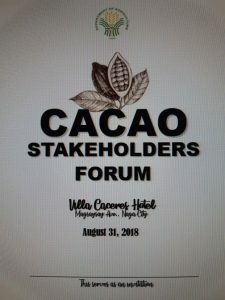 Cacao Stakeholders Forum, Villa Caceres Hotel, Naga City – Plantacion de Sikwate Cacao Producers Association, Inc.
We were invited by DA-Bicol to be one of the guest speakers at the Cacao Stakeholders Forum last August 31,2018. Thank you for the new farmer friends I met and who have asked how to be part of our association. 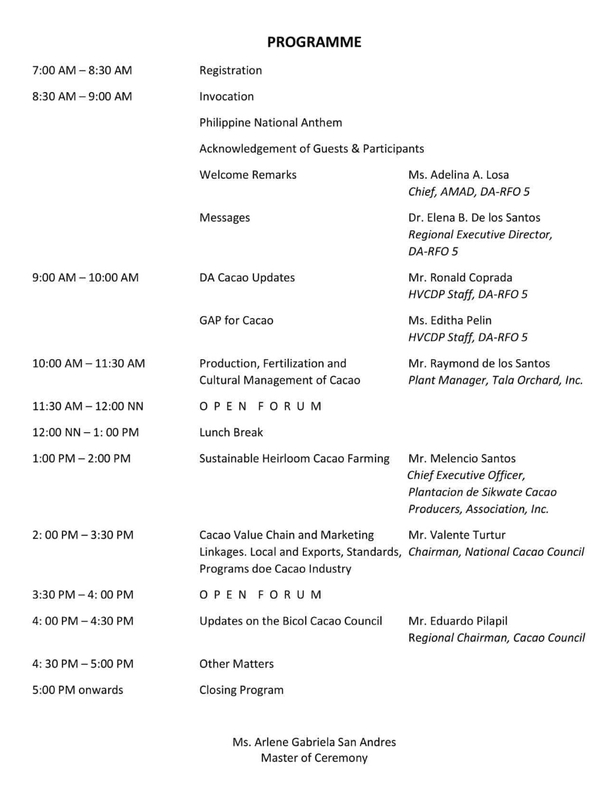 For interested cacao farmers, just inform Ms. Cacao through FB messenger of PDSCACAO or leave a message here.